Ayurvedic Treatment of Psoriasis | ND Care Nirogam Pvt. Ltd.
Psoriasis treatment doctors (Ayurvedic) classify psoriasis as "Kushtha". In Ayurvedic terms, psoriasis seems to occur as a result of vitiation of Vata and Kapha Doshas. Such vitiations manifest underneath the skin and cause accumulation of toxins (leading to inflammation). The toxins after accumulation may reach up to Dhatus like Rasa (nutrient plasma), Rakta (blood), Mansa (muscles), and Lasika (lymphatic) to cause psoriasis. Hence, the Ayurvedic treatment for psoriasis dictates to purify the blood and tissues. The above-mentioned toxin accumulation is particularly targeted with the help of nourishing herbs, allowing digestive restoration. Ayurveda describes that the Vata vitiation leads to imbalanced bodily functions and Kapha brings symptoms of psoriasis like the body (skin) growth, rapid skin cell turnover, dryness, and skin scaling. Acharya Charaka has given a detailed account of Viruddha Aahars (contradictory foods) and Mithya Aharas (improper diet) that may contribute to psoriasis. In the Ayurvedic treatment for skin disease, the primary aim is to detoxify the body by eliminating the toxins from the body fluids (Rasa). On the basis of several case studies, we understand that the vitiated Vata and Kapha enhances the accumulation of low potency poisons (Dooshi Vishas) responsible for basic pathological changes in the human body and Dooshi Vishas also obstruct the circulatory channels. We, at ND care Nirogam Pvt. Ltd., recommend Shroto Shodak Dravyas to restore digestion and cleansing of toxins along with prevention from the recurrence of toxin accumulation. We also administer nourishing and immunomodulator herbs to promote rapid healing of skin and calm the immune system's response respectively. The above-mentioned herbs can significantly reduce the proliferation of the skin cells in the basal layers of the skin, and by following psoriasis Ayurvedic treatment diet, we can treat psoriasis naturally. 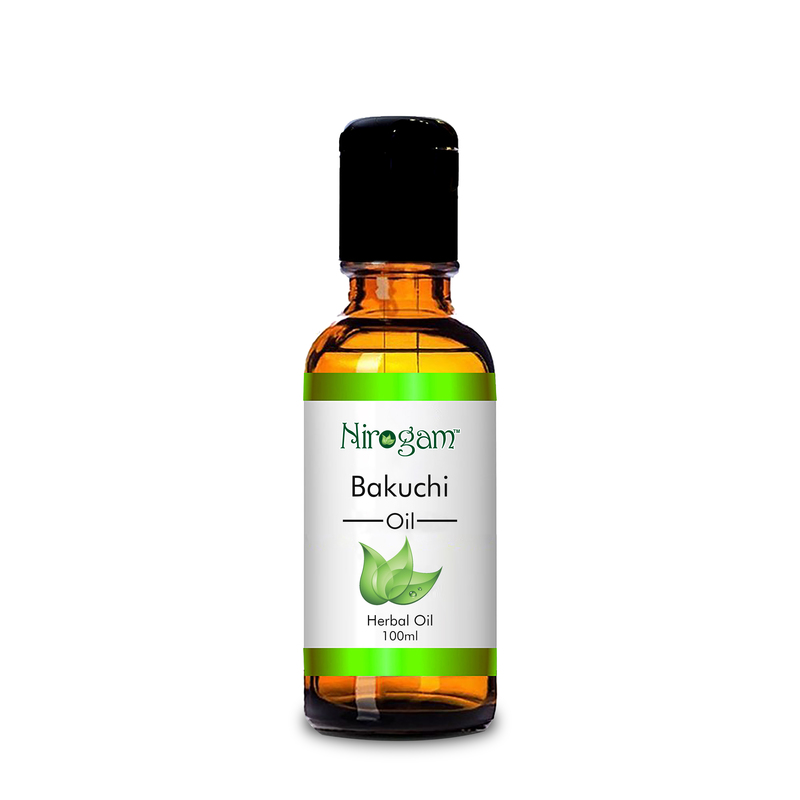 Bakuchi Oil "It is a Kustanashini i.e. natural remedy for prolonged skin disorders"
Soothing effect to calm Pitta Dosha. Cleanses and pacifies excess heat/irritation. Nirogamz DT "Natural appetite promoter & digestive stimulant"
Acts as a potent antacid & relieves gaseous distension. Excellent neutralizer for stomach acidity. Restores the muscular function & contractibility of the intestinal wall. 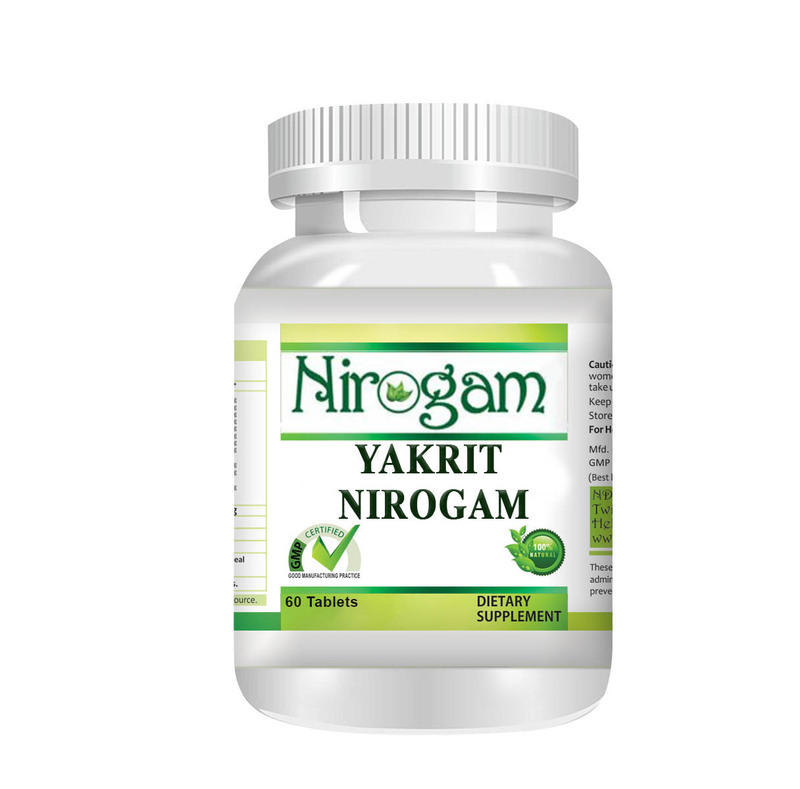 Yakrit Nirogam "Unique liver formula & excellent detoxifier to rejuvenate liver"
Acts as a natural purgative. Supports the liver to remove accumulated toxins from the body naturally. Nourishes & strengthens the liver tissues. Guggulu (Commiphora wightii): Having anti-inflammatory and lipid-lowering properties, it is helpful in removing fats and excessive fluids in the skin during natural treatment for psoriasis in scalp. Neem (Azadirachta indica): According to the Ayurvedic texts, it is an effective blood purifier and is used to treat several chronic skin conditions including psoriasis. Bakuchi (Psoralea corylifolia): The seeds contain an essential oil (dark brown resin). The seeds of this herb have anthelmintic, antibacterial, astringent, cytotoxic, deobstruent, and stimulant properties. It is widely used in skin disorders like psoriasis treatment of face, psoriasis treatment of nails, psoriasis treatment of hair & psoriasis treatments of scalp etc. It assists the skin to rejuvenate by eliminating toxins from the body and thus it is one of the best herbs for the treatment of psoriasis in Ayurveda. Kumari (Aloe Vera): It is known for its natural soothing and cooling properties. Aloe Vera may also help regenerate skin cells and heal irritated skin. It reduces excessive inflammation when applied to the skin. Various minerals present in Aloe Vera are calcium, copper, magnesium, manganese, potassium, sodium and zinc etc. It is also responsible for enhancing the penetrative effect of the other ingredients into the skin. Therefore, the aloe-Vera extract is highly useful in psoriasis disease. We can use it as a topical cream for natural psoriasis treatment. skin a break to prevent redness. Oregon grape/ barberry (Mahonia aquifolium): The extract of the bark and root of Mahonia aquifolium contains alkaloids which have been shown to be strong anti-microbial and anti-fungal agents. Studies have demonstrated that these alkaloids induce powerful antioxidant activity which inhibits the over-proliferation of skin cells called keratinocyte (abnormal skin cell; the hallmark of psoriasis) growth. It also alleviates inflammation and hence is beneficial for the psoriasis natural treatment. The stem and leaves of this plant can be ground into powder, distilled into an extract, & used as a skin cream. It helps in reducing redness in psoriatic flares. It is more effective in both mild & moderate type of psoriasis. Turmeric (Curcuma longa): It has unique anti-inflammatory and antibacterial properties, thus, helps in the psoriasis treatment. Make a paste from one part turmeric powder to two parts water. Add the ingredients and simmer to make a thick paste. It is also very useful in Ayurvedic treatment for scalp psoriasis. Early sun can effectively reduce skin inflammation and scales. The extract of sesame seeds on an empty stomach can also help. Garlic and onions may also be used to purify the blood. Bitter Gourd is also a valuable home remedy for psoriasis. Avoid fragrances (soaps and perfumes). Do not hinder natural urges like vomiting, urination, bowels, etc. Don't sleep during the day. Eat Anti-oxidant-rich herbs and spices, like thyme, sage, cumin, and ginger. Fruits and veggies, especially berries, cherries, and leafy greens. Some foods can make inflammation worse. Eat less or avoid like wheat, rye barley, & milk. Avoid caffeinated beverages and carbonated beverages. Balasana (Child Pose) The aim of Yoga asana in the treatment of psoriasis is to relax breathe, reduce stress, stretch your body and calm down your mind. Anjali Mudra (Salutation Pose) Stimulates heart muscles, relieves pain, and promotes inner calm, detoxification of the body. Bhastrika- According to Pascal's law, if the volume remains constant, the pressure is equally distributed in all direction. This pressure causes the reaction forces in organs and glands in the vicinity in order to remain in equilibrium. So, secretions from glands are initiated and increase the blood flow to the body, thereby clearing the toxins from the body. Bahya- We exhale all the air out of lungs and it is considered to be very pure breathing technique that helps in detoxification of the body. Fingers ROM exercises- Very important to be performed because the sequel of psoriasis, that is psoriatic arthritis in which PIP and DIP joints of fingers and toes are involved, if not taken care of can lead to deformities termed arthritis mutilans. Back extensors- Strengthening exercises such as back extensors along with stretching of chest muscles are helpful, as most cases of psoriatic arthritis show spondyloarthritis i.e. inflammation of both joints and entheses leading to tightness and weakness.